If you wish to get your design business seen on the internet then you should get a premium account on Online Bank Finder.co.uk. Upgrading your design agency or freelance business has several advantages, such as a home page listing, listed above competitors in your city & you get listed on non-premium competitor's pages accross the whole site. Get a Online Bank Finder.co.uk premium account from only £10 per year. Simply Click Here to upgrade (choose premium submission). National Banner Service for Bank's. 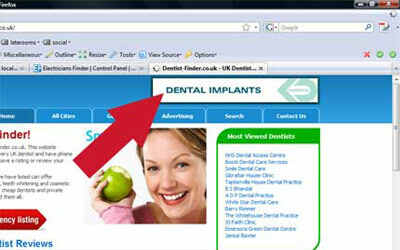 Why Advertise on Online Bank Finder.co.uk? Advertising is an aesthetically pleasing way of promoting your business. Large and colourful advertisements that hold the eye will result in more people to your listing OR website, generating more revenue for you. We offer a national banner advertising service. Price and availability vary so Contact us to find out more.